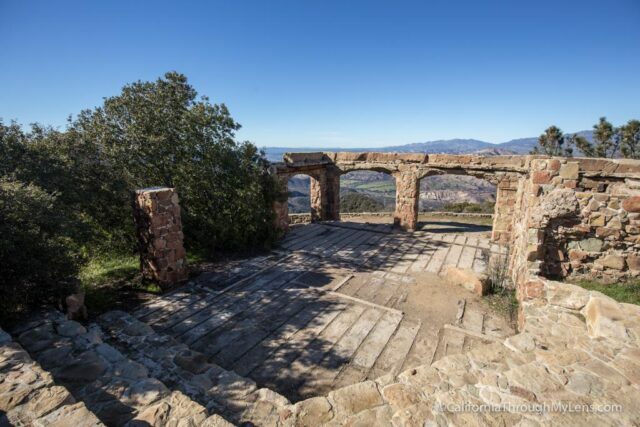 Knapp’s Castle is a very popular hike in the hills above Santa Barbara both because it has fantastic views and because it is less than a mile round trip. 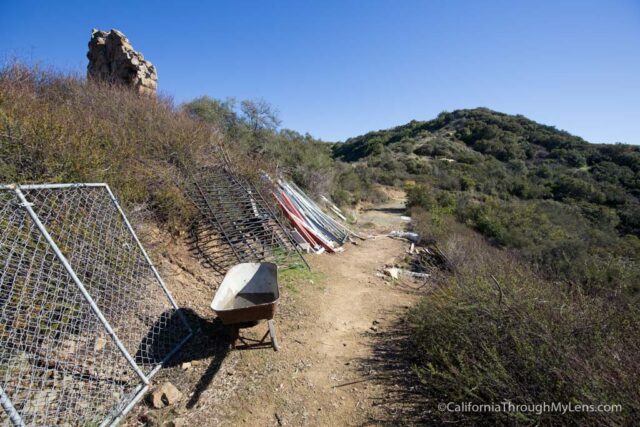 The area is technically on private property so there is always the chance that the owner will revoke access to this popular spot but that has not been the case for the last few years. Be sure to treat the area with respect though. 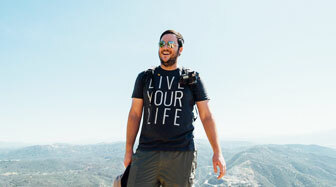 Here is all the information so you can hike it yourself. 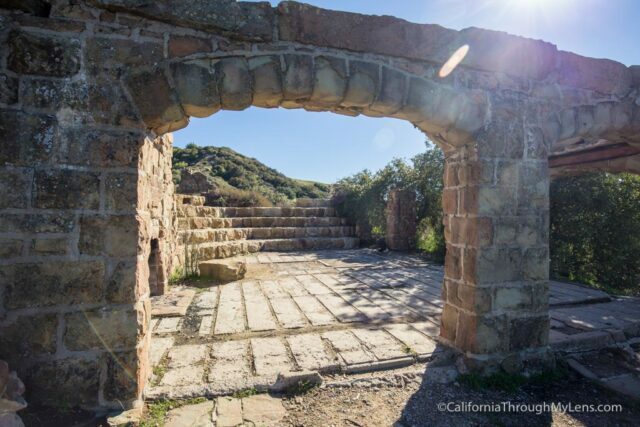 Knapp’s Castle is located in the Santa Barbara hills, somewhat near Chumash Painted Cave State park. 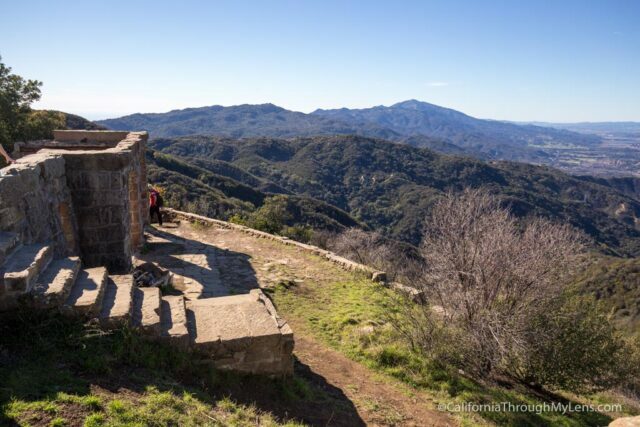 You will reach it by heading up Highway 154 and then turning off on Camino Cielo Road. 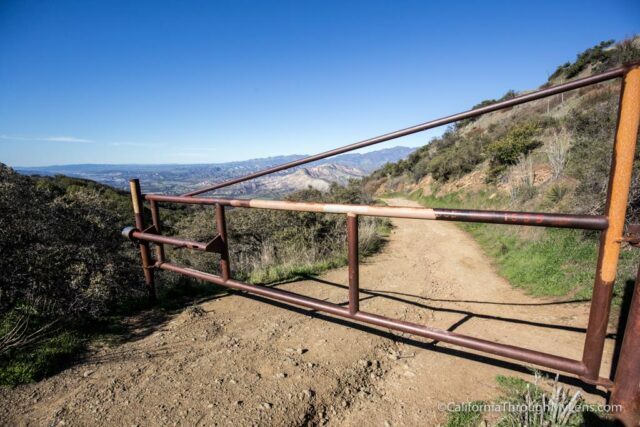 After about three miles (one mile past Painted Cave Road) you will pass a gate on your left which marks the start of the hike. 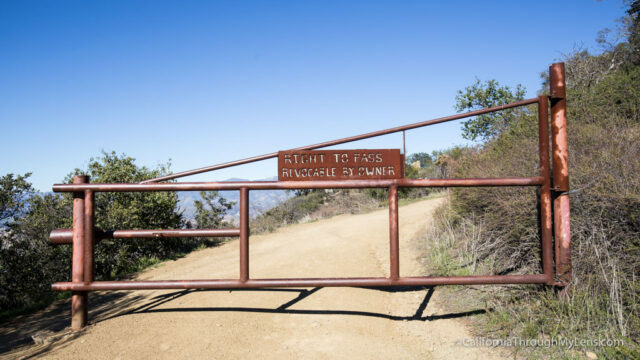 After parking along the road, you will want to walk past the gate and start down the dirt road. I went on a weekend, and there were a dozen or so other cars all parked there enjoying the hike. The hike is all downhill on the way there so naturally, it is all uphill heading back. Just remember that if it is a hot day as there is not much shade. 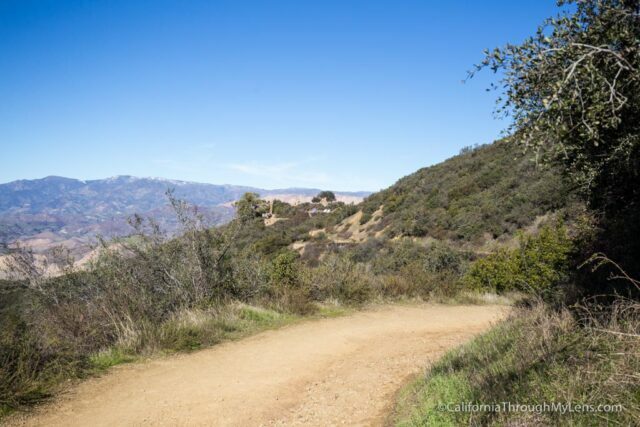 As you hike downhill you will start getting better views of the canyon and hills in front of you. It is a pretty spectacular place spot for photography, especially at sunset. After turning the corner, you will see the ruins come into view. 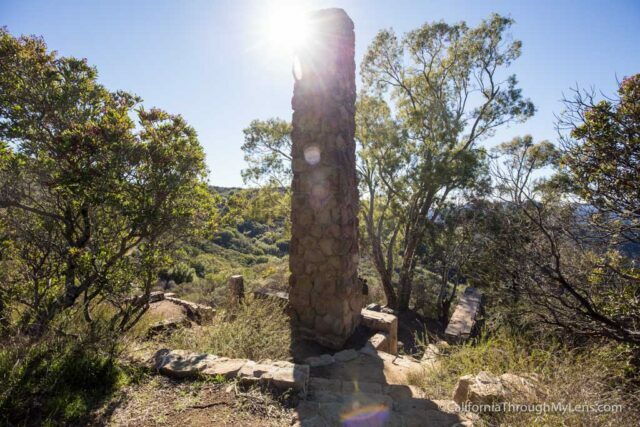 These ruins are from a house built by George Knapp, founder of Union Carbide Chemicals, in 1918. The house stood until 1945 when it burned down in a forest fire and was not rebuilt. 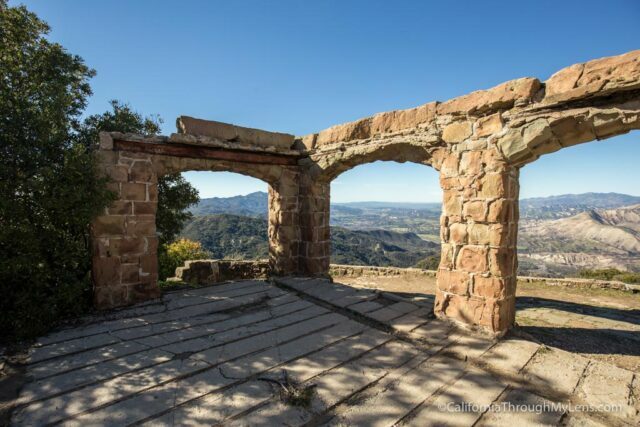 The ruins here show that the house must have been pretty impressive with its huge floor plan and marvelous view. There are at least four fireplaces that you can find around the ruins. It reminds me a little bit of the Wolf House in Sonoma County. The most impressive part of the ruins are the arches though. Accessed via a large set of stone stairs, the arches are still standing tall and are a photographers paradise on the property. 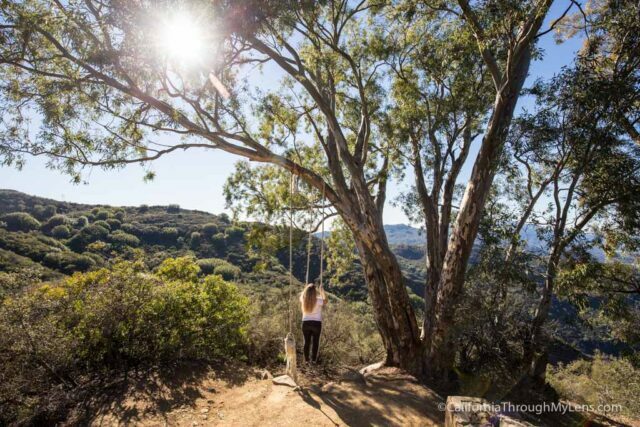 There is a lot to explore though so make sure to take your time and see in all. Down from the main ruins is another room with a fireplace. The tree sitting outside of the room had a little rope swing on it which lots of people were enjoying. Be sure to be careful if you go on it though. 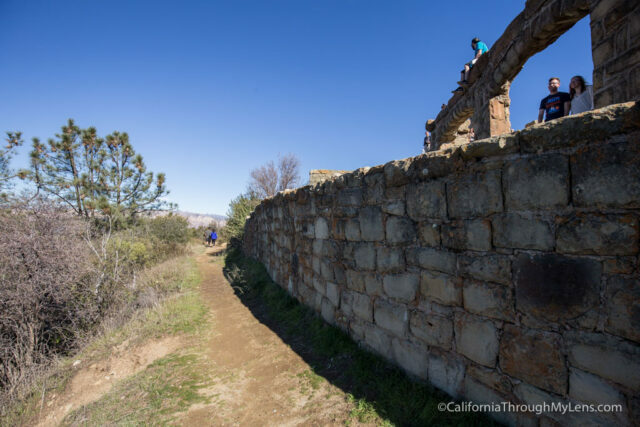 After exploring the ruins, make you way back up the half mile trial to your car. 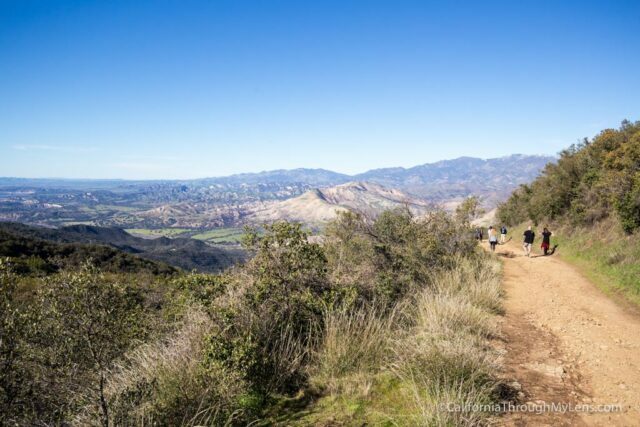 If you make it all the way up here, consider taking the short drive to Chumash Painted Caves State Park as well. It won’t take you longer then 10 minutes to see, but it’s still a fun little side trip. 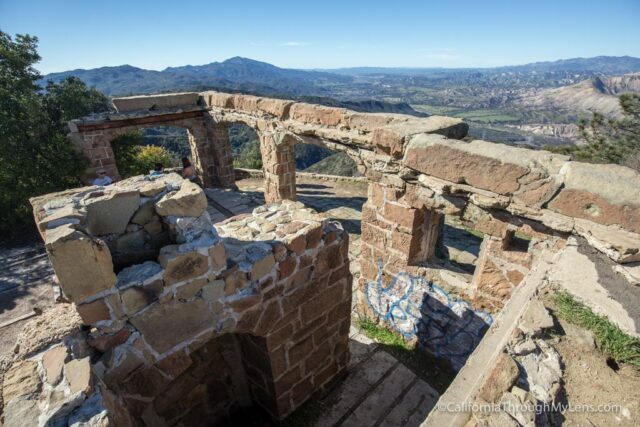 All in all, I enjoyed Knapp’s Castle and can’t wait to check it out again the future. 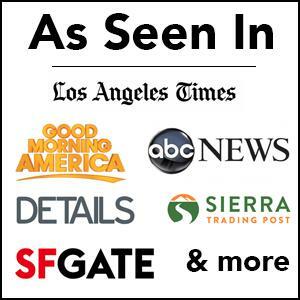 Let me know if you have been in the comments.